The Microelectronics Group of Universidade Federal de ItajubÃ¡ was formally created by an agreement between the Research and Development Center (CPqD) of the former TelebrÃ¡s in the area of integrated circuits design on June 2nd, 1987. Initially, it focused on personnel training in the area of integrated circuits design. As the group increased, the it began to design analog integrated circuits for TelebrÃ¡s, thus specializing its members. Later the Group designed an integrated circuit for IBM, to implement a wireless computer networks. It supported the National Microelectronics Program of Brazilian Ministry of Science, Technology, Innovation and Communications - MCTIC by offering courses at the Eldorado Research Institute to prepared human resources in the area. In the 1990s, demand for low-power communications circuits led the Group to conduct researches in the area of low-voltage and low-power circuits. The competence achieved in the area of low voltage and low power led the Group to start researching in the area of biomedical applications, in the 2000s. Now, the Group focus its efforts on circuits and systems for biomedical applications. It seeks to develop biomedical solutions that can improve of the quality of life of society. The Universidade Federal de ItajubÃ¡ (Federal University of ItajubÃ¡) - UNIFEI, was founded on November 23rd, 1913, under the name of the Electrotechnical and Mechanical Institute of ItajubÃ¡ - IEMI, by the personal initiative of the lawyer Theodomiro Carneiro Santiago. It was the tenth engineering institution in the country. The IEMI was officially recognized by the Federal Government on January 5th, 1917. Since the beginning, the IEMI excelled in the training of professionals specialized in energy systems, remarkably in generation, transmission and distribution of electric energy. In 1923, the course duration changed from three to four years. In 1936 it was reformulated and become similar to the course at the Polytechnic School of Rio de Janeiro, and it was renamed Instituto EletrotÃ©cnico de ItajubÃ¡ - IEI. In 1956 the IEI was federalized and in 1968 it was renamed to Federal School of Engineering of ItajubÃ¡ - EFEI. The proven competence led to the unfolding of its original course into Electrical Engineering and Mechanical Engineering, focused on Electrotechnical and Mechanical Design. It start offering graduate courses in 1968 on in Electrical and Mechanical Engineering. In response to the evolution of technology, it expanded its emphasis in 1980 to include Industrial Engineering Electronics Engineering. 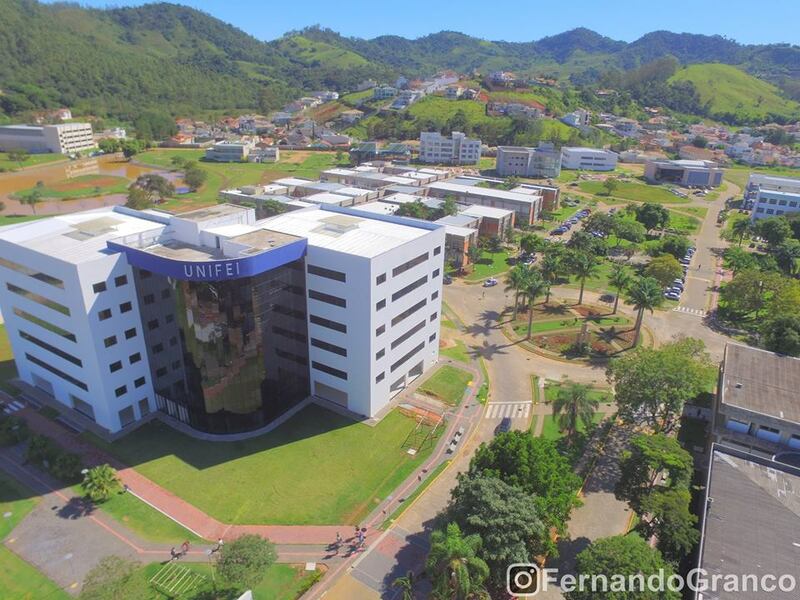 A pioneering partnership between the City of Itabira, the mining company Vale, the Ministry of Education and the Federal University of ItajubÃ¡, it was created the Campus of Itabira, which began its operating in 2008. Would you like to learn more? Please visit the Official Site.